Published: April 11, 2013 at 01:46 p.m. Updated: April 12, 2013 at 04:07 p.m. It's the Baltimore Ravens' world, and we're all just living in it. The Ravens just won a Super Bowl after a regular season during which nobody thought they were the NFL's premium team at any point. They were dominant -- and, most significantly, supremely clutch -- in the playoffs. In the ensuing offseason, they've lost two icons and a number of other signature starters. Yet somehow, Baltimore comes out smelling like a rose, looking more entrenched than ever as the ruler of the AFC North, with a legit chance to be right back in the Super Bowl hunt. The reason the Ravens are a contender every year is that they back up a great coaching staff with the best front office in the NFL. Ozzie Newsome is the best general manager in football. He's been doing it at a high level for a long time, building teams that produce double-digit win totals, make the playoffs and compete for the Super Bowl, year after year. Newsome believes in building through the draft and supplementing via free agency. It's clearly a philosophy that works. And Newsome also believes in surrounding himself with bright people and creating dialogue. Eric DeCosta has been Newsome's right-hand man for years, formerly as the stellar head of college scouting and now as the powerful assistant general manager. They work incredibly well together, forming the best 1-2 front office punch in the NFL, and bright football people/scouts want to work for them. Many teams crave a chance to make DeCosta their general manager, but he has legit power with Newsome, and owner Steve Bisciotti makes sure he's happy. Speaking of Bisciotti, he is fantastic. He's created a stable environment that's conducive to success. Think about the challenges facing the team this offseason: The Super Bowl champs had to balance paying their franchise quarterback, jettisoning his security blanket, managing the salary cap and making tough decisions about impact players -- all while staying competitive as an elite team. Not to fret; Baltimore has a plan. The Ravens don't flinch. In the wake of Ray Lewis' retirement, there was public pressure to bring back another future Hall of Famer, Ed Reed. He's worth the money for the Houston Texans -- they need to learn how to prepare and win in December and January -- but the 34-year-old veteran had already peaked in Baltimore. Reed will have his number retired by the Ravens one day, but it wasn't worth paying him the requisite salary-cap figure this year. Paul Kruger played his best when it mattered most: in the playoffs. 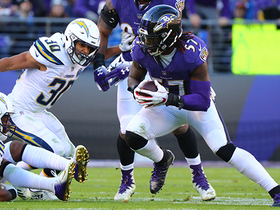 He was a true sack artist in January, putting together the single greatest stretch of his Ravens career, and he wasn't even an every-down player. The Cleveland Browns offered him a boatload of cash. Thanks for the memories and the title -- good luck in the future. Meanwhile, I believe the Ravens wanted to keep Dannell Ellerbe. I also believe they believe that the $35 million deal he got from the Miami Dolphins was insane. Cary Williams had a really strong and surprising year at corner after Lardarius Webb went down, but allowing him to walk (and sign with the Philadelphia Eagles) made sense. 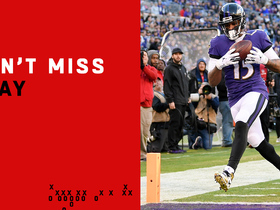 Webb is a really good player; there's no debating who will be better in 2013 and beyond. Now, I loathed every angle of the trade that saw Anquan Boldin shipped to the San Francisco 49ers. He's the epitome of toughness. 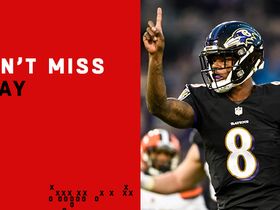 Joe Flacco was at his best in the playoffs when he was finding Boldin in key situations against the Indianapolis Colts, Denver Broncos, New England Patriots and 49ers. But on the flip side, Boldin, like Reed, is an elder player. And with the money the Ravens saved from the Boldin deal and others, they got better in many areas. After Fax-gate in Denver made Elvis Dumervil available, Baltimore jumped in with an offer that trumped what the Broncos were willing to pay him, knowing that was the only way to get it done. That's savvy. Dumervil is better than Kruger. I love the Michael Huff signing, too. The Oakland Raiders' roster has been a wasteland where talent goes to die. Ravens fans should be excited about Huff playing in their system. Rolando McClain was an abject failure on and off the field with the Raiders, but Newsome knows what his fellow Alabama product was supposed to be. They are banking on their structure. Terrell Suggs will be healthy for a full year. Haloti Ngata is a beast. Those two -- not Reed and Lewis -- have been the best players on the Baltimore defense of late. Lastly, Flacco rightly got rich, but his cap number for this year is team-friendly. His contract was deserved and counts as a win-win. And this is all before the NFL draft, something Newsome and DeCosta work to perfection. They have a simple philosophy: Draft the best players available. They did it with Courtney Upshaw last year after trading out of the first round, as Upshaw was on their list of four players to draft with their initial pick. They did it when they drafted Delaware center Gino Gradkowski in the fourth round, too, knowing veteran Matt Birk wouldn't be around much longer. (Birk retired this offseason.) They did it in prior drafts with Torrey Smith, Dennis Pitta and Ed Dickson. Nobody runs the war room like the Ravens. This year's draft is very subjective, but you know Baltimore is going to get a player. If they don't like their options at No. 32, I'll bet they trade out of the first round; don't be surprised if they fleece a quarterback-starved team that eschewed a signal-caller in the top 10 and is overly nervous about dealing with a run on QBs early in the second round. You know Baltimore will find a way to make an impact with the last pick of Round 1 -- precedent says so. Look around the rest of the division, which one might think is competitive. It really isn't. The Cincinnati Bengals have talent and good coordinators. But both head coach Marvin Lewis and quarterback Andy Dalton have a lot to prove in terms of good decision-making and good play in the playoffs. I wrote about the Pittsburgh Steelers' mess earlier in the offseason. They are a barren, seven-win team with major issues at running back, O-line, receiver and every level of the defense. People are blinded by the proud history of this franchise, but Steelers fans should be very concerned. I'm interested in seeing if the team matches the Pats' offer to restricted-free-agent receiver Emmanuel Sanders, who is very talented and well-rounded. Bottom line: The gap between the Ravens and Steelers has never been more pronounced. The Cleveland Browns, meanwhile, are the Cleveland Browns. Sure, you can say teams like the Broncos, Patriots and, heck, even the Texans are better on paper. Want to reference the past two postseasons? I picked against Baltimore in the playoffs every game this past season! This team just has a unique ability and a unique toughness. 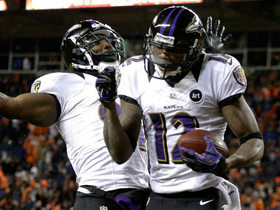 Baltimore has a culture, a knack that was established by Newsome, and is enforced by coach John Harbaugh and his staff. Lewis won't be doing the squirrel dance anymore; Reed isn't walking through that door. But the championship foundation is there. Ray Rice is a star. Bernard Pierce continues to develop. With the moves they've made this offseason, Baltimore is better off for 2013 and -- most especially -- way beyond that.